Do you have a Vena Cava IVC filter? IVC filters were designed to prevent blood clots from reaching vital organs. Some patients who received IVC filters claim that, among other things, the filters broke apart and migrated to other parts of the body where they caused sometimes life-threatening IVC filter complications. Tell us your story. Call (866) 683-9122 or fill out the following information. Was the IVC Filter implanted after 2003? Last update: January 1st, 2019. Last year we announced that the company Bard has been sentenced to pay out $3.6 million in a IVC Filter lawsuit that was filed by a Texas woman against C.R. Bard the day after Christmas in the District of Arizona (Case Number 2:17-cv-04755-DGC). The inhabitant of Georgia suffered complications after a G2 Filter was fractured inside her body. This was the first trial in a centralized case of almost 4000 Bard IVC Filter lawsuits. The company is looking at 3,800 IVC Filter lawsuits in the state of Arizona. After losing the first trial for a sum of $3.6 million, Bard has won the second. A jury in Arizona sided with the company and found that C.R. Bard warned doctors of the risks of IVC Filters adequately. Georgia woman Doris Jones was the center of this trial. She received an Eclipse IVC Filter 8 years ago and experienced headaches and pains years later. A filter was found fractured on a scan and an artery blocked. While doctors removed most of the fractured filter they couldn’t block the piece that blocked her pulmonary artery. Jones’ lawyers argued that the fractured piece still presents a fatal risk to their client. Earlier in June the company Cook lost an IVC Filter lawsuit in the state of Texas when the plaintiff was awarded $1.2 million after proving that the Cook Inferior Vena Cava Filter caused the injuries of a man named Jeffrey Pavlock. Many individuals that have used an IVC filter filed claims in 2019 and before against the manufacturers of IVC filters, alleging poor design, various forms of negligence and prior knowledge of risks that were kept quiet. New trials are scheduled for later in 2019 as well. IVC (Inferior Vena Cava) filters were designed to stave off pulmonary embolism by catching migrating blood clots before they reach the lungs or even the heart. While Bard (formerly C.R. Bard) face perhaps the largest number of lawsuits, other makers including Rex Medical LP, Boston Scientific, Cordis (Johnson & Johnson) and Cook Medical all face litigation over their own devices. The legal battle against IVC Filter manufacturers officially commenced in 2012 when plaintiffs filed the initial IVC Filter lawsuit against Bard in Pennsylvania. Additional lawsuits then followed in California. In 2015 a further MDL was created when dozens of individual lawsuits against Bard were consolidated into MDL 2641 in the US Court District of Arizona. The Cordis TrapEase IVC filter has been linked to a high fracture rate and has generated numerous lawsuits itself. The company has also issued a recall of some 33,000 OptEase IVC filters out of concern they may be installed backwards due to unclear instructions. Rex Medical currently faces an IVC Filter lawsuit over its Option Retrievable filter. The complaint alleges the filter is prone to failure and that Rex Medical conducted insufficient clinical tests before determining the filter was safe for use in humans. Greenfield IVC filter lawsuit: Boston Scientific is also facing lawsuits amid allegations that it had known for years about the potential dangers and, like Bard, did nothing about it. In 2015 on the 10th day of trial, Bard decided to settle an individual case brought by one Kevin Philips who had alleged that a metal leg on the device he received had broken off after being installed and perforated his heart. This is one of the few cases against Bard so far to result in a settlement. negligence and more on the part of both the IVC Filter manufacturers and their subsidiaries. In January 2017 an IVC Filter lawsuit was filed by a man named Jeremy K., who was implanted with the Cook Celect® Vena Cava Filter in 2012 at a medical center in Illinois. The article continues after the table of contents. 1 Do you have a Vena Cava IVC filter? 5.1.1 I’ve had a Filter Installed. What Risks do I Face? 5.1.2 What are the side effects of IVC Filters? 5.2 If My Filter is Causing Problems Can I Seek Compensation? 7.1 Why is Bard the Focus of So Many Lawsuits? 8 What Did Bard Know About Their IVC Filter Complications and When Did They Know it? 8.2 What has Become of The Lehmann Report? 8.3 Did Bard Forge a Signature on Their FDA Application? 9 Were you harmed By IVC Filter Complications? As mentioned above both the US Court Districts of Southern Indiana and Arizona have consolidated numerous individual lawsuits into Multidistrict Litigations or MDLs. Many an IVC filter lawyer believes this to be the preferred route in such matters as class actions sometimes force plaintiffs to accept lower settlements while simultaneously paying higher attorney fees. 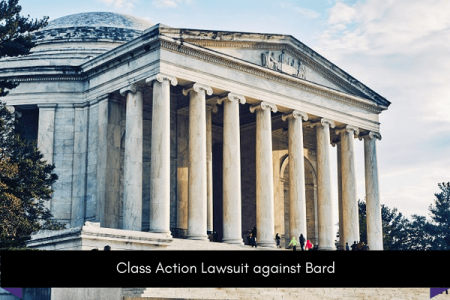 A number of class-action suits against Bard have commenced nonetheless. The thrust of these lawsuits currently working their way through courts in Florida, California and Pennsylvania is that, because of known issues with Bard IVC Recovery filters, G2 filters and G2 Express filters everyone who has received one must undergo constant, and often costly, medical monitoring. The class in this case then is everyone who ever had one of the Bard devices in question implanted and these individuals seek compensation to cover expenses incurred during the aforementioned monitoring activities. I’ve had a Filter Installed. What Risks do I Face? In addition, an eight year review of patients at Boston Medical Center that ended in 2011 concluded that, of 679 retrievable filters, less than 9% had been successfully removed and that removal of the anti blood clot device was unsuccessful 18.3% of the time. The review found patients suffered dozens of venous thrombotic events including many that occurred with the IVC filters in place. It also concluded that many filters had been placed after the highest bleeding risk had passed and anticoagulant therapy may have been a more appropriate choice. What are the side effects of IVC Filters? The IVC filter has important uses in the medical profession. It is a small metal device that doctors will recommend to insert in a patient’s body when they believe there is a serious danger of blood clots reaching the patient’s lungs. But the side effects of these IVC filters are so serious that many patients decided to file lawsuits against several manufacturers. The FDA even released warnings about the IVC filters in 2010 and 2014. Blood clots can form in older patients, those with poor health, or those who have been through some type of serious trauma, injury or surgery. In most cases, patients are treated with medication that helps them get over the risk of a blood clot forming. But other patients cannot be treated with that medication, or the treatment is not enough. In those cases, the IVC filter is used. With many cases, the filter does its job and is eventually removed. The issue is that more than a quarter of patients over the years have noticed some type of complication resulting from the filter. That complication could happen when it is being inserted or removed, or while the filter is still in the body. These side effects are the result of the IVC filter not performing as needed. The filter can sometimes dislodge from the vein and end up near the heart or another organ. That is why patients can feel pain in different parts of the body, but the cause is still the IVC filter. If My Filter is Causing Problems Can I Seek Compensation? Yes. If you are experiencing IVC filter complications you are eligible to seek compensation from the manufacturer for a variety of potential reasons (pain and suffering, medical costs associated with dealing with the defective filter, lost wages and more). 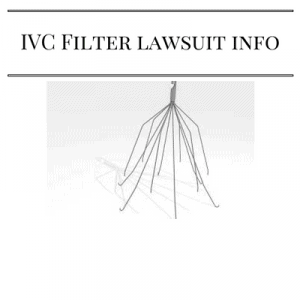 If it can be proven the IVC manufacturer knowingly sold a defective filter you may also be eligible to file a IVC Filter lawsuit seeking punitive damages. The number of lawsuits against the manufacturers grows by the day and are expected to grow even further in 2019. You may want to file an individual suit or join an existing MDL against Bard, Cook or another company. Or you may want to join a class-action suit seeking compensation for monitoring expenses. In August 2017, the judge overseeing the multidistrict lawsuits concerning Cook IVC filters set the dates for three bellwether lawsuit trials. These trials will set the standard for all other trials regarding the Cook filters. Many of these lawsuits allege the Cook filters tend to break apart and patients have claimed they’ve been injured by them, including the puncturing of organs by the device’s components. The three lawsuits allege the Cook Celect and the Gunther Tulip filters have caused several injuries. The first trial is set for a case of negligence against Cook for concealing “the known risks” and failure “to warn of known or scientifically knowledge dangers”. This case, Hill v. Cook Medical, and the other two, Gage v. Cook Medical and Brand v. Cook Medical, have had settlement dates scheduled, but if the settlements fail, the bellwether cases will proceed next year. Gage v. Cook Medical, the second bellwether case, for example, failed when Judge Young decided to dismiss it since the claim was not filed within the appropriate time frame. Several laws known as the Statute of Limitation are set in each state to determine the maximum time limit during which a claim can be submitted to a state or federal court. Gage’s case was the only one involving the infamous Günther Tulip filter. Even if the judge’s decision was only related to time issues, Cook Medical saw the trial as a fundamental victory that demonstrated the safety of the devices. There are hundreds of outstanding lawsuits involving IVC filters made by Cook Medical, Bard and other manufacturers. Bookmark this page (ctrl + D) for regular updates in 2019 and onwards. The first bellwether trial filed against Bard is set to in March 2018. The judge presiding over the multidistrict litigation said the bellwether cases should be narrowed down to about six cases by early next year. Trials for other bellwether cases may also be possible by the end of next year as well. The Bard filters in question are the G2, Recovery, Denali, Eclipse and the Meridian, among others. There have been allegations Bard knew about possible problems before they put their IVC filters on the market and that they forged the signature of a regulatory specialist on an application for the FDA to request clearance for their devices. Why is Bard the Focus of So Many Lawsuits? The company was the first to face an IVC filter lawsuit over complications. During early court proceedings it came to light that they may have known they were selling a defective product (the Bard Recovery filter) and yet they continued nonetheless (more on that below). They are also accused of replacing that defective product with other, equally inferior products in the form of the Bard G2 and G2 Express filters. The variety of Bard filter types involved, the number sold and the apparent lack of interest on the company’s part in being forthcoming about potential risks are all possible reasons why Bard is facing more lawsuits than other companies. It must also be said though that future developments could cause focus to shift to any of the other manufacturers who are currently the subject of litigation. What Did Bard Know About Their IVC Filter Complications and When Did They Know it? As early as 2004 Bard received complaints that their IVC filters were breaking apart and migrating within the bodies of recipients. In response the company commissioned what has become known as The Lehmann Report. This report, conducted by independent consultant Dr John Lehmann, concluded the Bard IVC Recovery filter generated a higher rate of IVC filter complications than its competitors. The Lehmann report was never intended for public consumption – indeed it was distributed by company lawyers on a need-to-know basis with instructions it be kept secret – but was eventually disclosed unwittingly during an early trial. Once The Lehmann Report came to light litigants sought to use it as proof the company had prior knowledge of the risks associated with their IVC Recovery filter and suppressed it while continuing to sell thousands of the devices. In response the company sought to have the report excluded from use in existing or future lawsuits under what is known as the ‘work-product doctrine’. This law is intended to protect a company from documents it produces in anticipation of future lawsuits. What has Become of The Lehmann Report? Part of Bard’s legal maneuverings to suppress The Lehmann Report includes a request for a protective order under the work-product doctrine. This order would force plaintiff’s attorneys to destroy all copies of the report in their possession and refrain from using its contents during the conduct of IVC related lawsuits. As of this writing Bard’s request for an order to destroy all copies has achieved mixed results. 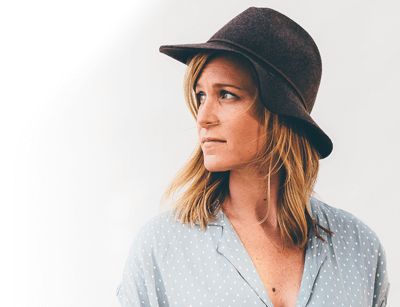 A California state court denied Bard’s request while the US District Court of Nevada upheld it. Other proceedings have produced similarly mixed results. Did Bard Forge a Signature on Their FDA Application? Prior even to The Lehmann Report there are indications Bard was aware of their IVC Recovery filters potential risks. In 2002 the company’s application for FDA approval for the medical device was denied. In response Bard hired Kay Fuller, a regulatory specialist, to help improve their chances of receiving approval when they resubmitted their application. Fuller though became concerned about the overall safety of the device herself and wound up refusing to support the company’s subsequent efforts to get FDA clearance. In a disturbing twist however the company’s re-submitted application form bears her signature although she told an investigative team from NBC news that she never signed the form. face serious injuries as the implant broke, migrated or fragmented. hundreds of patients in the process. filter showed a 50% fracture risk, and that the rate of the filter removal was as low as just 20%. these barbs pointing in the wrong direction could easily migrate directly inside the patient’s heart. Since 2005 the FDA has received more than 1,000 reports of IVC (Inferior Vena Cava) filter complications involving various manufacturers. Since they’ve been the subject of the most lawsuits, Bard has understandably been out front in trying to have these suits dismissed. In 2014 for example, in a product liability case, Bard was denied a motion for summary judgment on two different occasions with the judge in the case ruling the lawsuits could proceed because there was evidence Bard may have engaged in negligent practices.The judge also ruled that plaintiffs were entitled to seek punitive damages in their IVC filter lawsuit. For 2018, a MDL lawsuit against Bard is scheduled in Arizona. The suit will bundle more than 4500 lawsuits that have been filed against the manufacturer in case number 2641. Keep an eye on the site to see how things develop in 2019. You could always fill out the form on the top of this page for a free case review. Were you harmed By IVC Filter Complications? Drugwatcher helps you to stand up against producers of dangerous drugs and medical devices.